Among those who have tended to U of T's growth, few have had as great an impact as Geoffrey Matus, president of the consulting company Mandukwe Inc. He is the creator and founding chair of U of T's real estate advisory board and a member of the president's investment advisory committee. After the recession of 2008-2009, Matus was a key consultant who helped stabilize the university's investments. 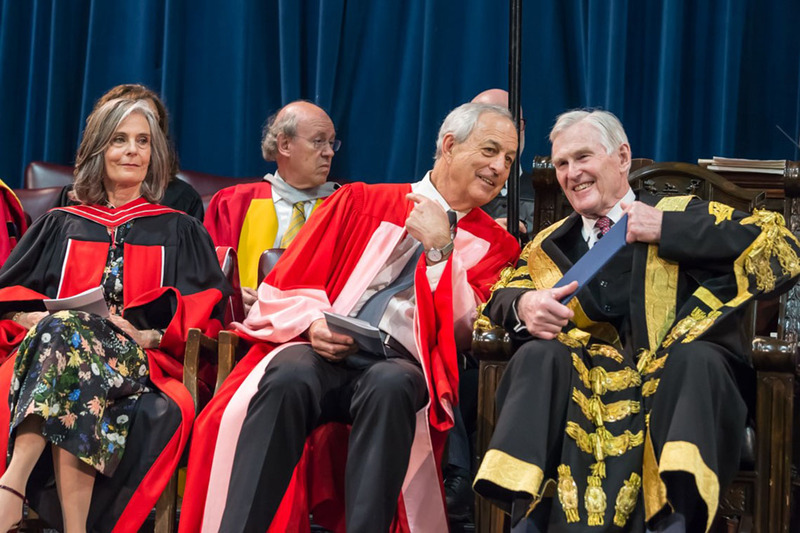 He was also instrumental in the revitalization of the University of Toronto Asset Management Corporation. He helped U of T become a long-term equity partner with MaRS, the “world’s largest urban innovation hub,” thereby finding another home for the university's research, innovation and entrepreneurship. He is a member of the Faculty of Medicine campaign cabinet and co-chair of the university's investment advisory commitee. He's also a former member of the campaign steering commitee and has served on the business board of the Governing Council. In 2010, he received the Arbor Award, which recognizes U of T students, alumni, faculty, staff and community members for exceptional volunteer work. Matus is the co-founder of several companies including: Cidel Bank & Trust, Tricon Capital Group and NexGen Financial Corporation. His record of volunteering extends outside the university. He serves on the board of the Canadian Opera Company and was previously a board member of Mount Sinai Hospital. He was appointed an honorary director of the Baycrest Centre for Geriatric Care and is a past chair of its board of directors. He has degrees from Columbia Law School in New York City and the University of Witwatersrand in South Africa.